Looking to plan a Sunday brunch this weekend? Here are 20 delicious recipes that everyone is sure to love. Whether you’re brunching to celebrate, entertain guests, or gather friends at the table, brunch can be everything from a simple hash using leftover meat and veggies to a phantasmagoric four-course feast. 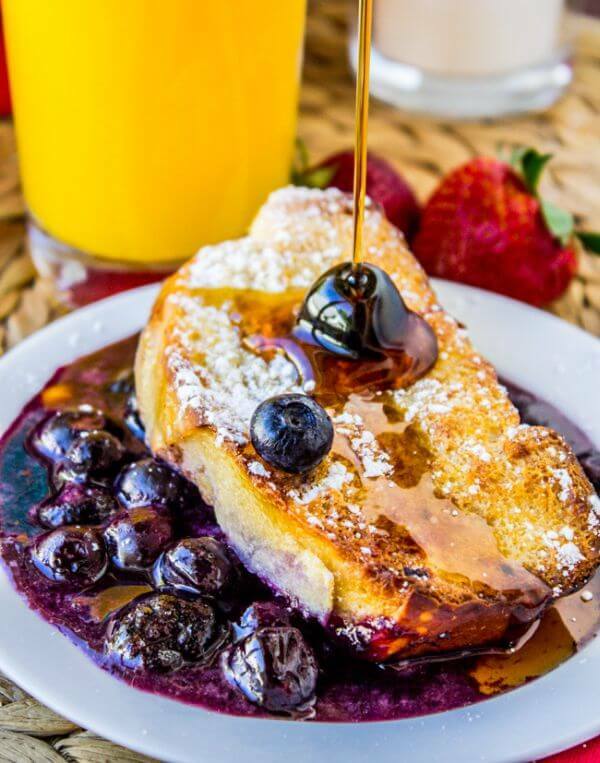 Many breakfast staples like French toast, yogurt parfaits, and various egg dishes are usually part of a brunch spread, but just about anything can work for brunch time: pasta and fruit salads, lightened favorites like breakfast pizza, and protein-packed plates like steak and eggs. If you plan it right, and these 20 recipes will help, you can enjoy the meal again as leftovers on Monday morning. 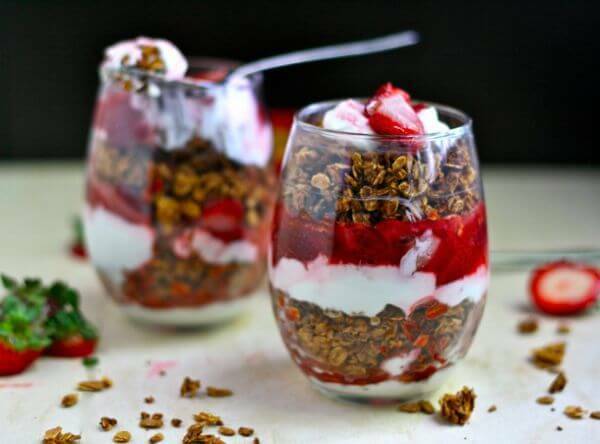 It doesn’t take much effort to put together a parfait, but the payoff is a healthy snack that’s every bit as sweet as dessert. But for a brunch, you can take it to the next level by roasting the fresh fruit. It’ll also impress guests at the table if you make granola from scratch – which you can luckily do way ahead of time. For a low-sugar vanilla almond granola that will taste great in this recipe, try this one from Sally’s Baking Addiction (used to calculate the nutrition facts below). It’s not a decadent brunch without lox in the lineup, whether you’re having it on plain bagels with cream cheese or on top of a quick appetizer. To make these, you have to do little more than slice a cucumber. Then spread on some Greek yogurt, dill, and capers. 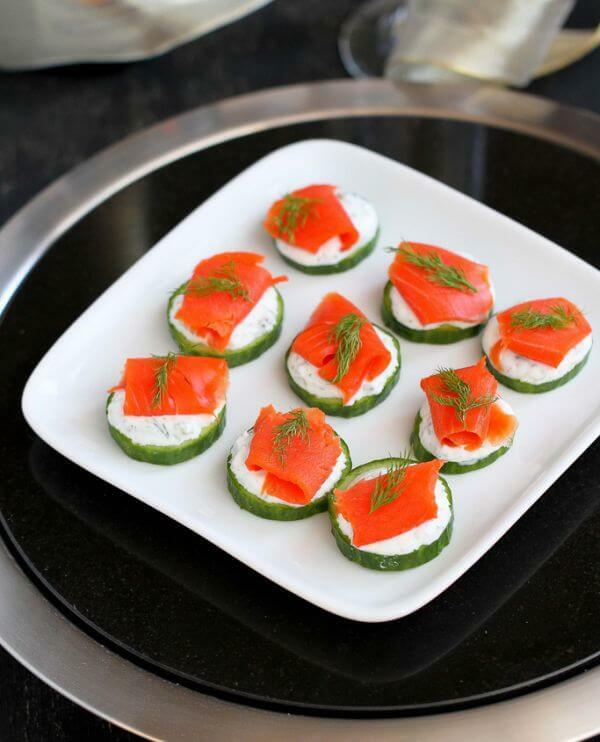 Finish with smoked salmon, and you’ve got an incredible appetizer. Seriously, it’s so good you can eat the whole batch for a lazy Sunday brunch. Impress everyone at the brunch table by baking bread from scratch. 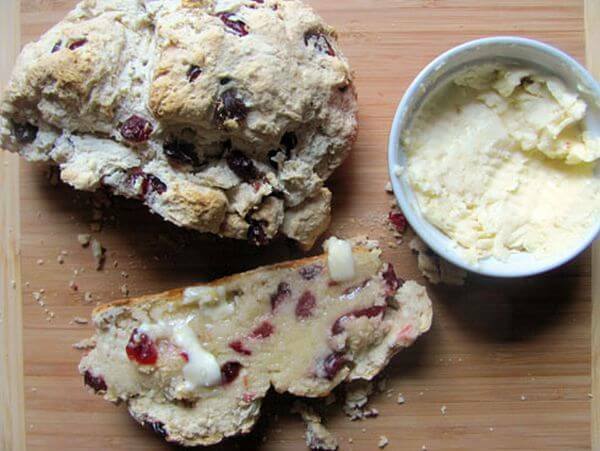 They don’t have to know how easy and foolproof soda bread is to mix together. It’s a homemade bread that requires no yeast and minimal kneading. And the maple butter to slather on is takes even less work to make. Just mix maple syrup into the butter, and add coarse sea salt. 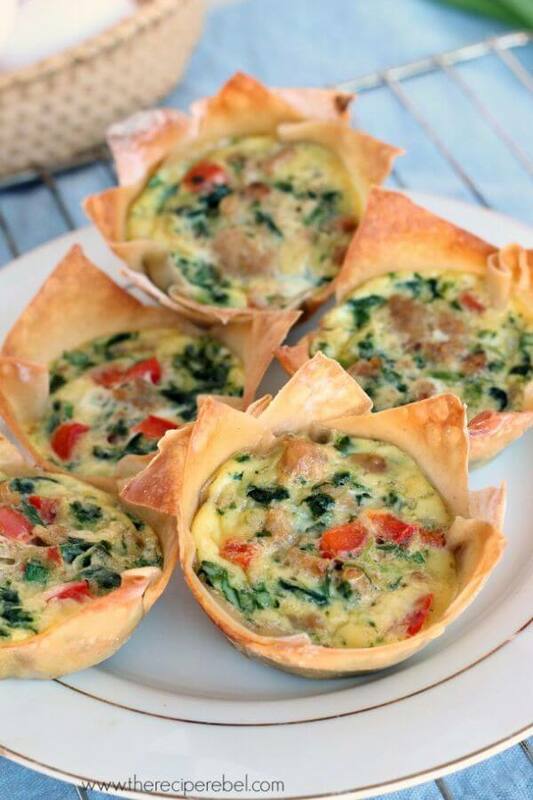 Muffin tins aren’t just for muffins. You can actually make a variety of egg appetizers, which come out perfectly sized. Using wonton wrappers as a kind of crust will bring you one step closer to tray-worthy appetizers These are filled with egg, mushrooms, tomatoes, mozzarella, and even tofu, but if all you have in the fridge are a couple ingredients, that will work just as well. 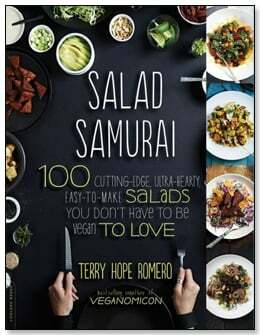 This recipe is from Salad Samurai: 100 Cutting-Edge, Ultra-Hearty, Easy-to-Make Salads You Don’t Have to Be Vegan to Love by Terry Hope Romero. 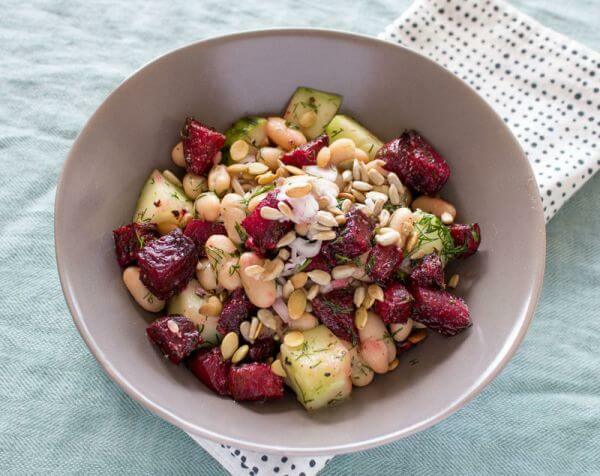 It uses ingredients you’d expect to find a salad from Poland, including beets, white beans, and fresh dill. But this Polish salad also has a surprise: soba noodles. Although they’re associated with Japan, soba noodles are simply made from buckwheat. 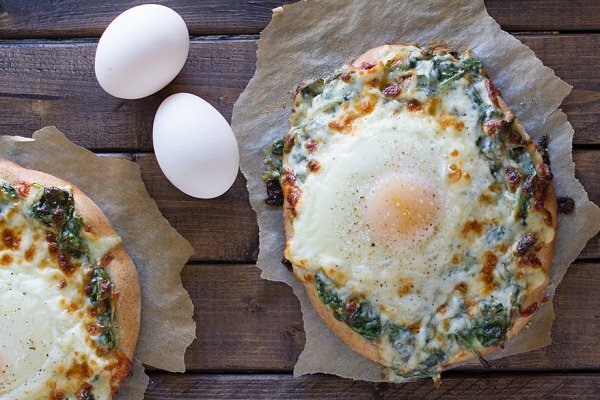 You can make a pizza with breakfast toppings, but why not turn a regular pizza into breakfast? 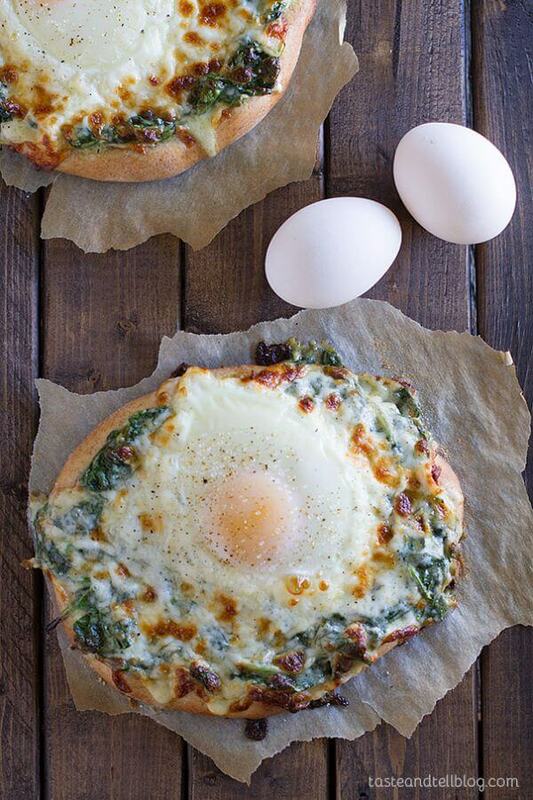 By adding an egg on top – soft yolk and all – it takes just a second to upgrade spinach pizza to breakfast pizza. And if that’s not enough, there’s also crispy turkey bacon. It pairs well with the mix of fontina and gruyere, although you can use about any cheese you have on hand with an equally delicious result. Treat yourself to an out-of-this-world brunch without trading protein for carbs. This steak is slathered in bernaise sauce, which is basically a lot butter, egg yolks, and white wine. So you might want to opt for a smaller serving, or go with a light touch when drizzling on the sauce. Of course, you could also make breakfast dreams come true and double the steak. Breakfast burritos are the easiest way to upgrade scrambled eggs into a complete breakfast. If you’re serving burritos for brunch, though, they’d better be off the charts. So don’t skimp on the fillings. 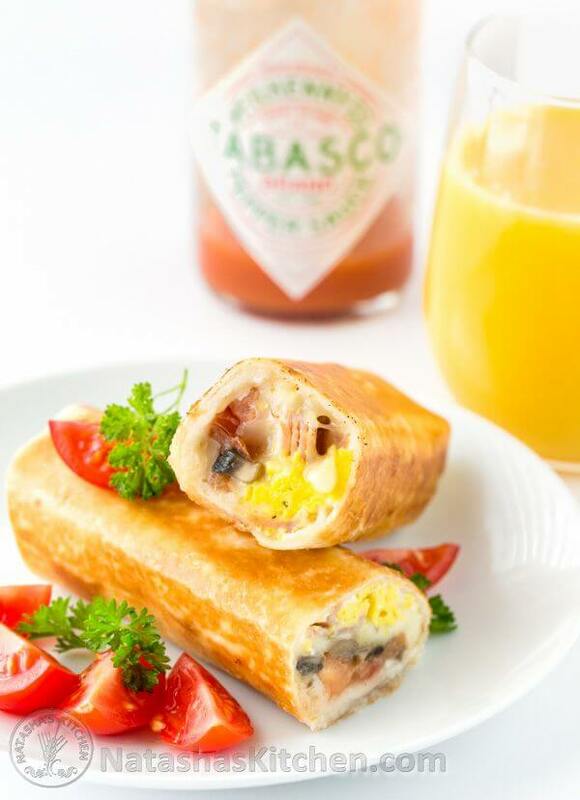 This one is stuffed with mushrooms, eggs, sour cream, ham, tomato, and mozzarella cheese. Serve with salsa, hot sauce, guacamole – or all three. You can enjoy waffles and not even miss the maple syrup and whipped cream. The trick is go to savory instead of sweet. 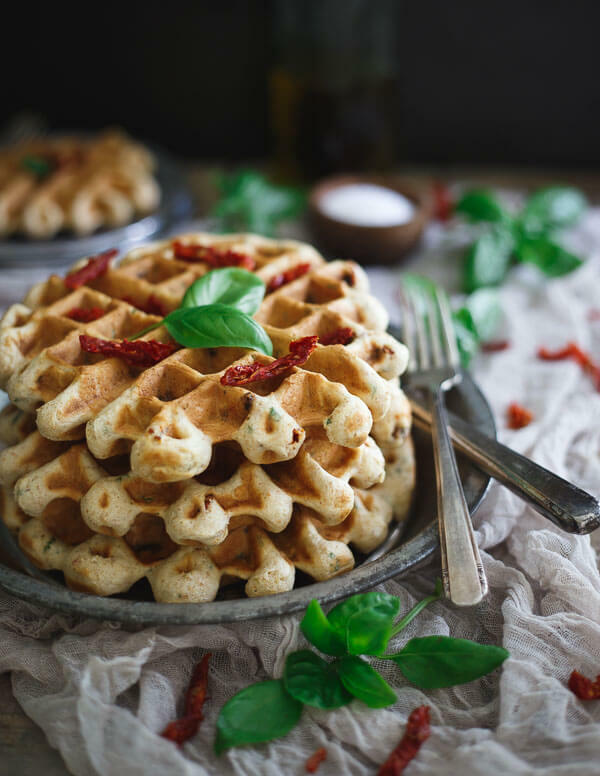 Not only does this breakfast favorite have the surprise ingredient of hummus, but the savory waffles are studded with Italian sausage and sun-dried tomatoes. Instead of pouring on the sugar, serve with more hummus, or top with a fried egg. 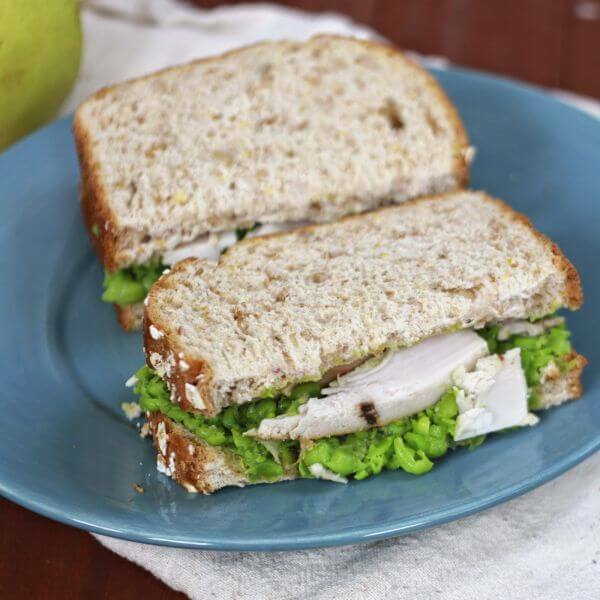 Not just any turkey sandwich will be at home on a brunch table. Dress it up with more than mustard and salad greens. This recipe keeps it healthy with other types of greens: smashed peas and pesto. You can use any kind of herbs to make the pesto, like classic basil or fresh mint, or just use whatever you picked up from the grocery store. This easy fruit salad is a stunner. It both looks and tastes so amazing, nobody will notice you did little more than dice the avocados and toss all the ingredients in a bowl. 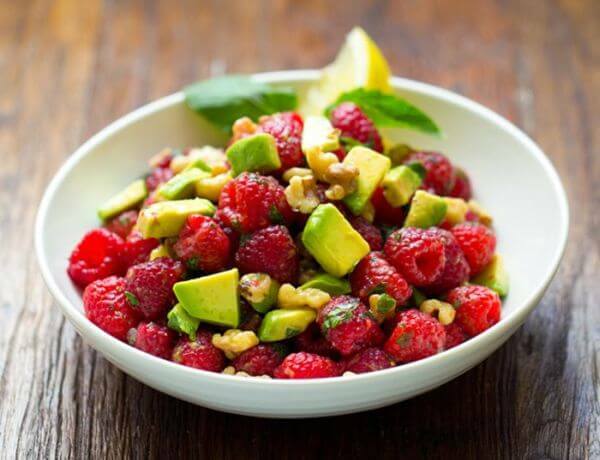 Along with the fruit, there’s mint leaves, chopped walnuts, fresh lemon, and a spoonful of maple syrup. And add a pinch of cayenne for a little kick. 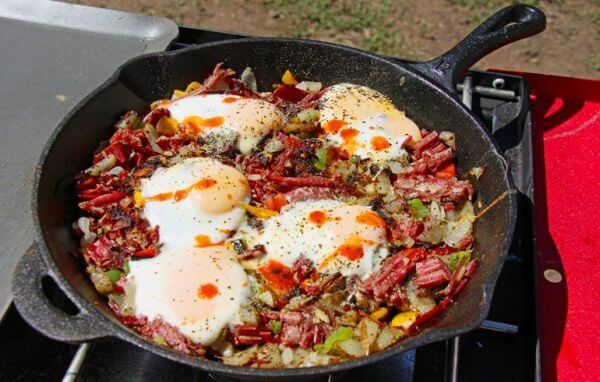 Whether you have leftover corned beef from dinner, or picked some up from your neighborhood deli, it’ll be delicious in this hearty hash. It’s a classic breakfast with meat, potatoes, onions, garlic, and bell pepper. And if you want eggs too, all you have to do is crack them right into the pan. Cook until the whites are firm but the yolks are runny, and then use a sturdy spatula to carefully slip them out of the pan. One Southern breakfast staple is cheesy grits, but chances are you’ve had them with a semisoft cheese like cheddar. Using cream cheese instead will be equally delicious. The result is a thick, stick-to-your-ribs version of grits. 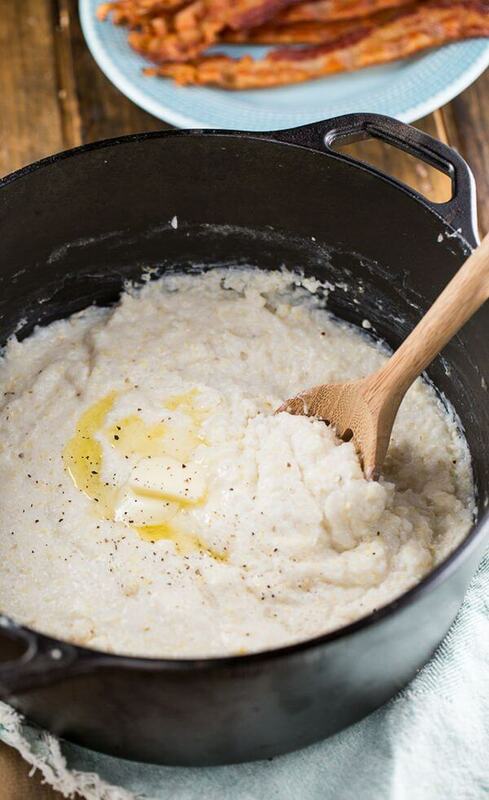 And for those who don’t usually like the texture, the creaminess of these grits may sway them over to the other side. 3 Tbsp. cream cheese, room temp. 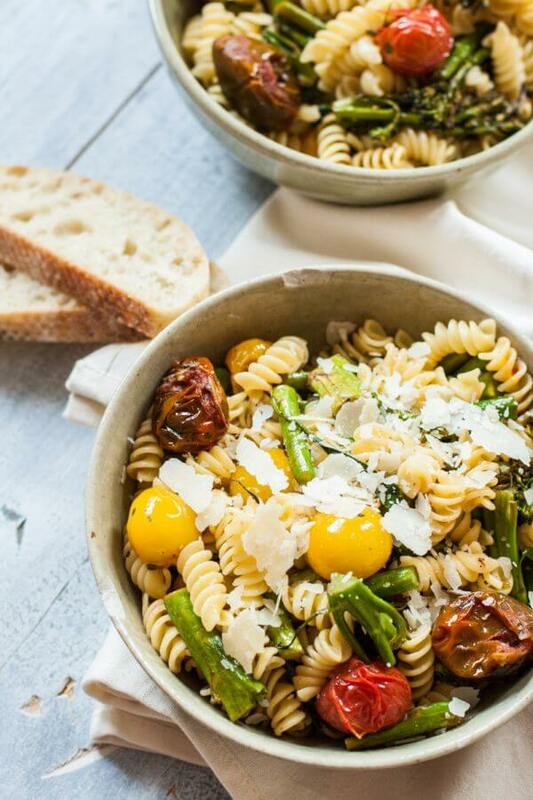 There’s nothing like pasta salad for a fantastic brunch. That’s because you can make it the day before! To serve, just pull it out of the fridge, uncover the dish, and stick a big spoon inside so everyone can help themselves. The main prep requires hardly any work anyway – chop up the broccoli, and boil water on the stove. While you wait for the pasta to cook, you’ll have time to measure out the ingredients for homemade balsamic vinaigrette. And if you make extra, you’ll have some for weekday lunches too. 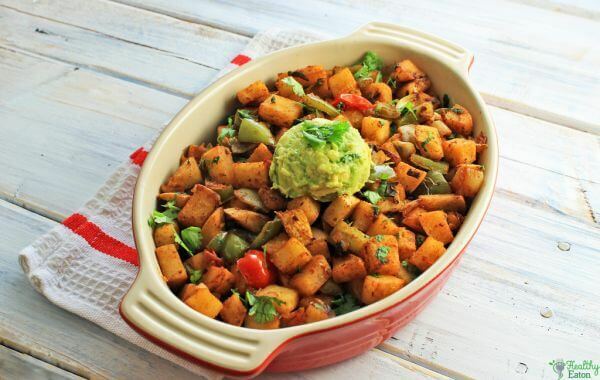 It can be hard to imagine breakfast without potatoes, but thanks to a bit of paleo creativity, you can enjoy a healthy hash using jicama instead. Pound for pound, jicama has half the calories and carb content of potatoes. That aside, the nutritional content is similar. Both potatoes and jicama are good sources of fiber, potassium, vitamin C, and phytonutrients that act as antioxidants. After an amazing brunch of pasta salad, smoked salmon, and a savory hash, not everyone will have room for a big dessert. 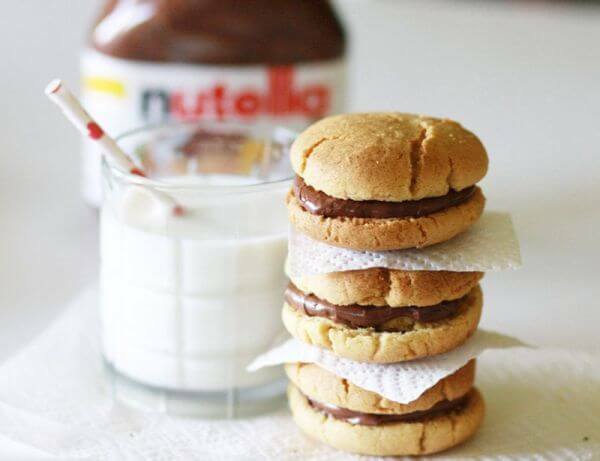 Rather than digging into a plate of crepes or a large scone, diners with less of a sweet tooth may prefer a small bite like this butter cookie sandwich with chocolate hazelnut filling. On the other hand, it might be good to have double desserts if you’re having a no-holds-barred cheat meal brunch. Cinnamon buns are tempting, but they’re also over 500 calories. Instead, cut to the chase by baking the best part: the soft, doughy center. 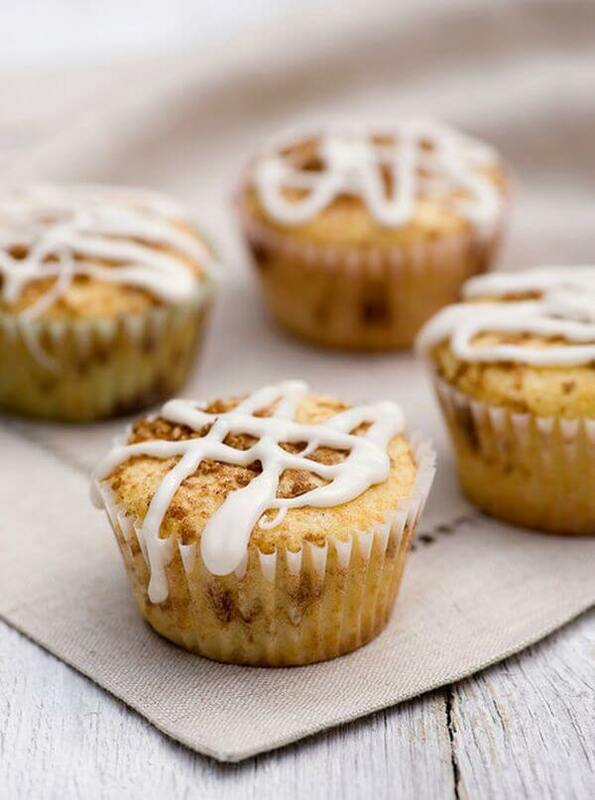 These muffins don’t skimp on the glaze, so they really capture the cinnamon roll experience. Yet, they slash the total calories in half so you can strike a balance between restraint and indulgence. A few hours before baking, slice the bread (preferably on the stale side), and lay it out in a casserole dish. Pour the eggy mixture over the top, and leave it in the fridge. Then a half hour before brunch, mix together a cinnamon blueberry syrup, and pop it all in the oven. Everything you love about brunch is in this one maple-chocolate pastry. 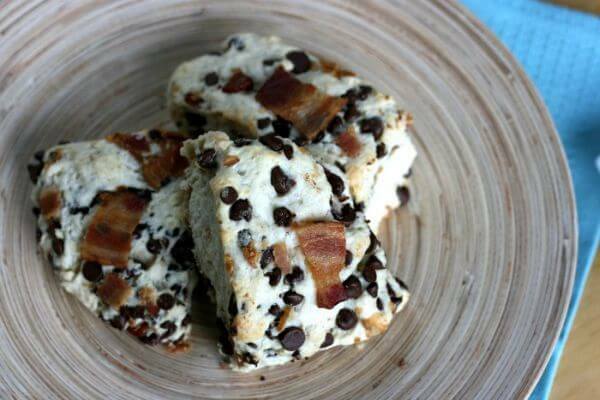 And yes, that means there’s really bacon in the mix too! These aren’t going to be part of anyone’s diet plan, but they’re a good reason to forget about macros for just one meal. Having an indulgence every now and then is necessary for sustainable long-term healthy eating habits. Flourless crepes? That sounds like an oxymoron since crepe batter is made from eggs, milk, butter, and flour. 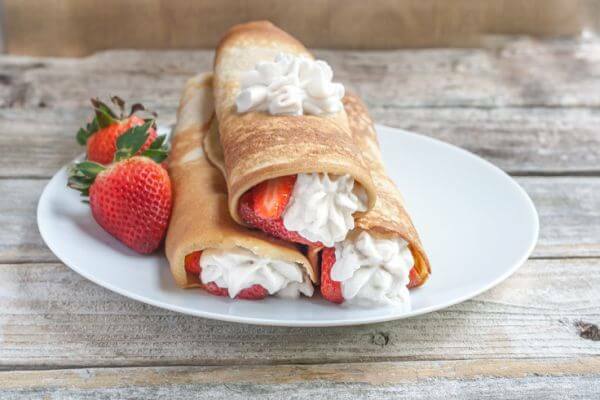 But it’s possible to make wheat-free, gluten-free crepes with a mix of flour alternatives. If you used only coconut flour, the result would be too cakey to qualify as crepes. That’s where arrowroot flour comes in, creating a finer texture and adding a bit of fluffiness. 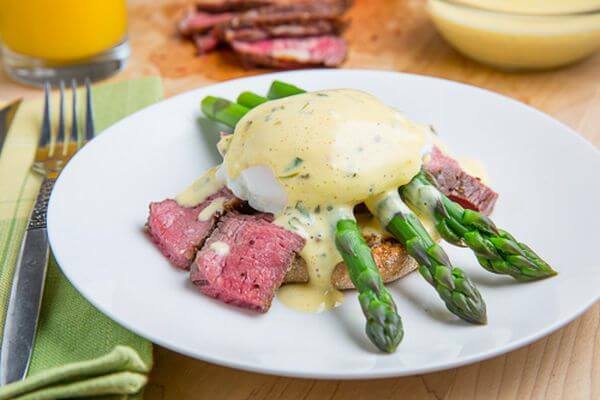 What did you think of these Sunday brunch recipes? Have anything else to share? Let me know in the comments below!